I learned something this weekend. 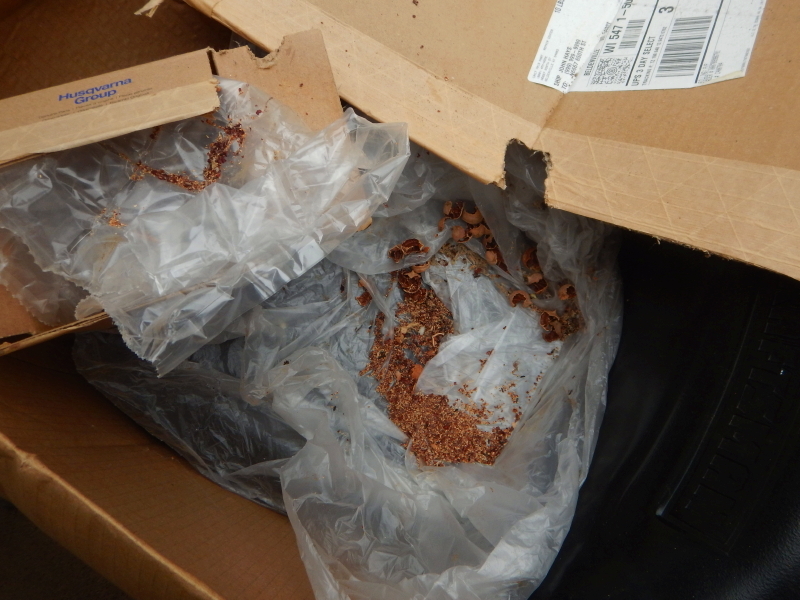 If I store something in a cardboard box in the shop or garage, it is like building a new luxury home for a mouse. Every box I opened while cleaning out things that have been stored for far too long looked the same. The front door was a perfectly chewed opening that seemed to open right into the kitchen. Obviously, mice don’t bother sweeping. In the case of the old tractor seat in the photo above, the bedroom was another level down, through the cracked vinyl shell to the comfy foam inside. The scene was identical in the box of Tiffany light fixtures I opened up on Saturday. Less fortunate mice have to be a little more creative. In the pile of leftover lumber that has been neglectfully ignored in the shop for the two years since construction of our chicken coop, I uncovered a brilliantly packed residence constructed out of insulation pilfered from the shop walls. It was only a one-story home that looked like the kitchen and bedroom were a shared space. I wonder if there is a mouse hierarchy that determines who gets the cardboard boxes. Obviously, the four mousetraps I have distributed throughout the shop are something that mice have figured out how to avoid.